Wighill Park Guns was founded by Nigel Lambert in 1985. After deciding that there was something missing in the air gun trade namely a shop that carries a full and varied stock of air guns and air gun accessories. Allowing customers to try before you buy. Luke Stares took over Wighill Park Guns in 2018 and is continuing to provide quality products and a brilliant service to Air Gun enthusiasts as well as also stocking Firearms, Shotguns, Ammunition and all related accessories. WE OFFER HONESTY. EXPERT ADVICE & EXCELLENT SERVICE. Wighill Park Guns is a retail shooting shop based in Wighill North Yorkshire and has been successfully running since 1985 providing quality products and advice to shooting enthusiasts in and surrounding Yorkshire. 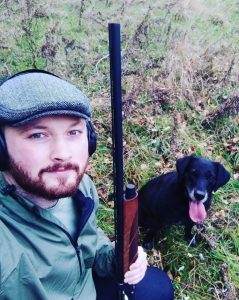 Luke Stares, a keen shooter himself and who has a wealth of knowledge and experience in the industry took over Wighill Park Guns in November 2018. Luke will be putting his own stamp on the shop and in 2019 you should see some exciting changes. As well as continuing to stock quality products and provide specialist advice in Airguns and all of the related accessories, Luke will also be stocking and offering advice in Firearms, Shotguns, Ammunition, Optics and accessories in store. The shop has also extended its opening hours and is now open 6 days a week including Sundays.